TEANECK, N.J., Dec. 5, 2018 /PRNewswire/ -- The Cognizant U.S. Foundation, in partnership with Wounded Warrior Project's (WWP) Warriors to Work Program, and technology trade association CompTIA and its Creating IT Futures Foundation, today announced a new program to help American military veterans gain digital skills necessary for in-demand technology industry careers. The Cognizant U.S. Foundation is providing a $4.5 million cash grant, and CompTIA is donating $1.5 million in cash plus $1.7 million in-kind to launch the program. The combined $7.7 million will fund a three-year education campaign reaching thousands of wounded warriors and their family members throughout the U.S., as well as providing training and job placement resources to help them launch technology careers. The $4.5 million from the Cognizant U.S. Foundation, specifically, will fund increased services through Creating IT Futures' IT-Ready program and will help establish operations for digital skills training at new centers in Chicago, Phoenix, San Antonio, San Diego and virtually. The joint program will provide high-touch career counseling, plus training and/or career placement in the technology field for as many as 2,000 individuals in the WWP Warriors to Work Program by 2021. An event celebrating the launch of the program and the first cohort of students is planned for early 2019. According to WWP's 2018 Warrior Survey, the unemployment rate for injured veterans is 11 percent, nearly three times higher than the national unemployment rate. Additionally, more than a fourth of unemployed warriors (27 percent) meet the Bureau of Labor Statistics definition of long-term unemployed (persons who were jobless for 27 weeks or longer), compared with 19 percent of unemployed civilians. "We are grateful to the Cognizant U.S. Foundation and CompTIA for providing these resources that will help warriors and their families gain useful skills and find careers," said Lt. Gen. (Ret.) Mike Linnington, CEO, WWP. "With assistance from these organizations, we are transforming the way America's injured veterans are empowered, employed, and engaged in our communities." "With these partnerships, IT-Ready will double in size in 2019, allowing us to reach more veterans in need of a new career," said Charles Eaton, Executive Vice President, Social Innovation, CompTIA and CEO, Creating IT Futures. "Veterans possess skills in high demand by the private sector – such as discipline, maturity, perseverance, and the ability to think critically, solve problems and work effectively with others. With the support of the Cognizant U.S. Foundation and by working closely with Wounded Warrior Project, IT-Ready can give veterans the training and employer connections they need to launch their tech careers." 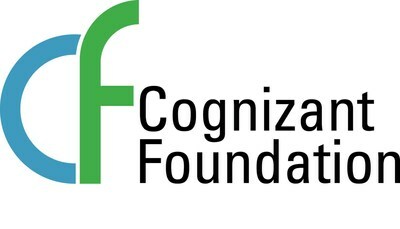 "The Cognizant U.S. Foundation is pleased to be partnering with CompTIA and Creating IT Futures in supporting WWP to fulfill their mission of fostering a more successful, well-adjusted generation of injured service members," said Meera Krishnamurthy, board member and WWP grant sponsor, Cognizant U.S. Foundation. "The U.S. economy and workforce are in the midst of a massive digital transformation that could have repercussions for generations to come, and it is critical that there are ample resources to help train individuals for jobs of the future, especially those who are underserved or underrepresented, as our veterans often are. These returning warriors, many with a foundation in tech skills and eager to put their experiences to work, create an opportunity for a game-changing training and job placement partnership." "Through their military service, our nation's veterans have gained skills that are highly sought after in the private sector – leadership, discipline, teamwork and commitment, to name a few. The Cognizant U.S. Foundation is proud to be working with WWP, CompTIA and Creating IT Futures to help America's former military service men and women build on and translate those skills into civilian careers in the technology field," said DK Sinha, President, Cognizant U.S. Foundation. CompTIA is the voice of the world's IT industry. Its members are the companies at the forefront of innovation; and the professionals responsible for maximizing the benefits organizations receive from their investments in technology. Learn more: www.CompTIA.org.